Every entrepreneur knows that accounting is the backbone that gives every business its shape. Tracking the numbers and having a firm grasp of amounts spent and amounts earned is critical for every organization. A business has to be doubly sure to keep the numbers sorted out as it can easily derail without rigorous control. Sometimes, it’s not really fraudulence but simple mistakes in the expense categorization. However, telling the difference between fraud and human error is not that simple. As in everything else in running a business, setting up a process-driven work culture is the best way to anticipate and ward off trouble. Undetected problems in your accounting department can lead to serious loss of profits, dishonest work practices, and the very real possibility of a business closure. As I keep emphasizing in all my writing, a business without proper systems set up cannot last long or do well and so make certain that the accounting department is established and managed in an orderly manner. There are usually some red flags that can indicate trouble in an accounting department. Some of these can be fixed with course correction, while in other cases you may need to scrape the existing system and start anew. While it boggles the mind, I have run across some small scale entrepreneurs who have started their ventures without defining upper limits. This is accounting 101. Determine what your budget is going to be and think in terms of short-term and long-term spending. Start with conservative estimates of income and scale up accordingly. Have you seen some of those people with fantastic ideas on Shark Tank who make fantastical assumptions about how much money they’ll make in one year. They are being enthusiastic and optimistic, both essential qualities for an entrepreneur. But realism is also critical and you should use your budget to keep running your business very real. Is your accountant your bookkeeper, your receiving clerk and your payroll manager all rolled in one? While this is not uncommon in a small business enterprise, there has to be extreme awareness of the susceptibility for mistakes. There has to be a mechanism for supervision or review on a regular basis as a single person keeping track may start taking short cuts. In small scale enterprises, if it is a family member, you should not hesitate to emphasize reviewing the work already done. Remember that it is in the best interests of all those dependent on the income from the business and make it a matter of practice. This one almost sounds too obvious but I hesitate to assume that everyone has switched to accounting software. Either fear of expense or an inertia to change can sometimes keep an entrepreneur from using the appropriate accounting software. There are so many quality products for companies of all sizes and shapes that there is no real reason to be doing any accounting manually. It is a no-brainer to adopt accounting technology. However, do remember that at the end of the day a responsible human has to ensure that the numbers are entered right and that the transactions make sense. While we are talking about accounting software, I want to make the point that this does not mean discarding receipts and invoices. Ensure that you have a process for digitizing existing transactions before throwing all the paper out. I’d recommend setting up a period for transition to ensure that there is no loss of tracking. I’ve been saddened to see that some clients have got rid of receipts too soon to prove some of their accounting entries. 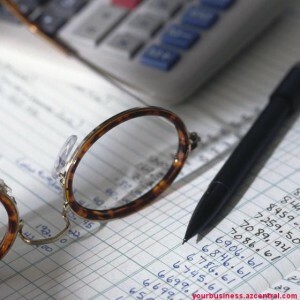 Without documentation, accounting can be a nightmare at tax time or when the business gets audited! I highly recommend that all my clients hire an external auditor for reviewing company financial statements and accounting processes once a year. Since the auditor is not affiliated with your organization, the review of your finances is more accurate and biases are also avoided. This is something I see as a supplement to more frequent internal reviewing. When I was running my ecommerce business, we had my CPA review our books/entries every 3 months, just to make sure our in-house accountant was doing it correctly. Trust but Verify my friend. How often have we heard of the entrepreneur who refinanced his home and put all the money in a business and then struggled when he had to declare bankruptcy? While this is almost in the class of an urban legend, the lesson worth learning is a clear demarcation between business and personal accounts. While you want to be passionate enough to devote considerable time and effort to your business, at the end of the day you don’t want it to literally take over your life! Sometimes,you see these types of transaction when business are being sold, these incomes are categorized as “owner discretionary income” which they back out personal expenses run thru the business, this is really bad practice and its worrisome as it really undervalues your business, it can also compromise the sale or valuation of the business at a future date. It is true that many of us can figure out the basics of keeping an account system. It seems pretty straightforward when you start as a small enterprise and it is tempting to keep it within the family. The reality is that there is a difference between the way an amateur and a professional can handle accounting decisions. Whether it is a matter of keeping accurate entries or a matter of making the most of tax breaks, a professional accountant can be a real asset to your business. Depending on the scale of your enterprise, you may want a full time accountant or a periodic consultant but don’t hesitate to seek professional advice as it can be a big difference in the long run. With these guard-rails in place, you should be able to have a clear view of your accounting system and avoid any major catastrophes.